Hi there! Lovely to see you here. I’m Nikki, also known as Starcat. 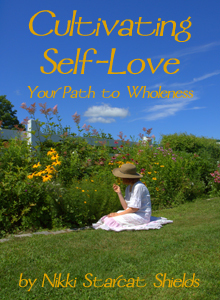 I’ve been actively walking my spiritual path for more than 20 years now, and I very much enjoy writing about my experiences. I love to share with you some of the ways I strive to live my earth-based spirituality, rooted in reverence and joy, even in the midst of a full, busy modern life. I identify spiritually as a Pagan, and I draw from many sources and inspirations as I continue to learn and grow on my journey. The ideas on personal spirituality that I share here can be used by anyone, no matter your spiritual tradition or preferences. I hope you’ll explore the blog and join the community! A bit of history: Starcat’s Corner got its start in a local Pagan newsletter – yep, the kind that was printed on actual paper and mailed out to subscribers – in 1997. In 2006, I started the blog that you see here today, as Starcat’s Study, perched at first on the outer reaches of a musician friend’s website. Now I’m a published author! My fourth book, The Heart of the Goddess: A Handbook for Living Soulfully was just published, in December 2017. 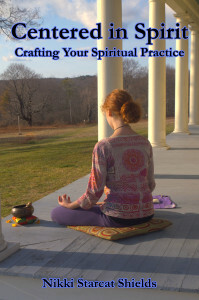 My other books include: Centered In Spirit: Crafting Your Daily Practice and Cultivating Self-Love: Your Path to Wholeness. 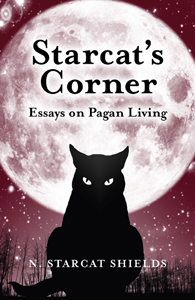 My first book is a collection of the essays I’ve written over the years, called Starcat’s Corner: Essays on Pagan Living. You can find out more in the Shop or over on the sidebar. Some of my favorite things to do, besides writing, are reading, yoga, swimming, crafting, hiking, drumming, learning more about personal spirituality, dancing, Reiki healing, and cooking. As you can probably already tell, I love cats! I have two wonderful adult kids. Our family’s chosen educational path is called unschooling (also known as child-led learning), and both of my kids have now graduated from our Maine Wholeschooling home-school. The kids go by the names Dryst and ElvenTiger, here on the blog. I have two life partners, Quester and BlackLion (for more about that, click here to download and read my article, “Surrounded by Love: Our Alternative Family”). We also have two cats, two dogs, and a wonderful extended family. We live joyfully in southern Maine. My partner BlackLion and I are following our callings together. 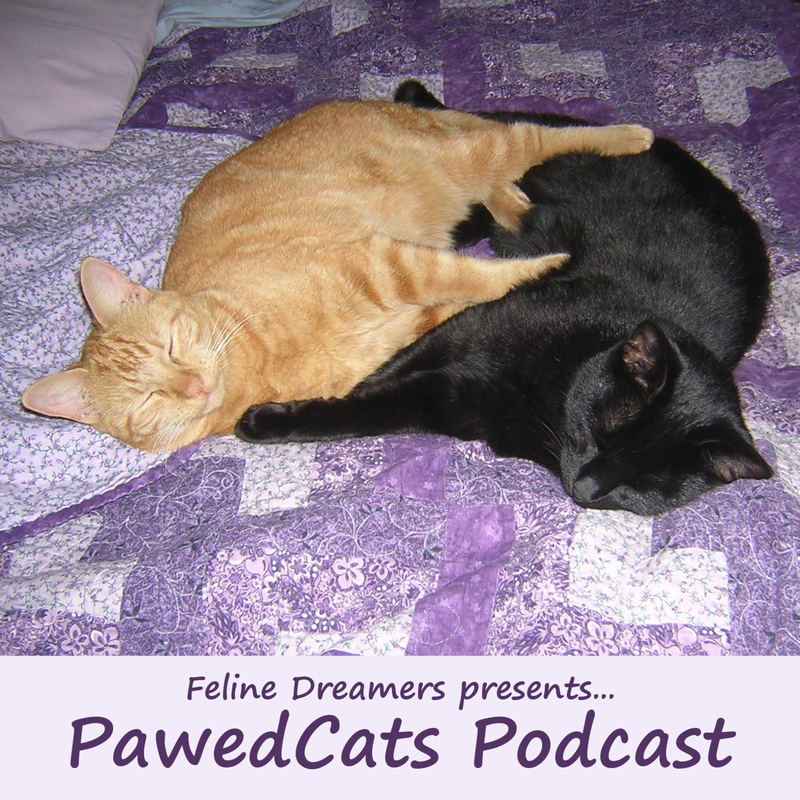 In 2007 we started a business called Feline Dreamers, which we’ve created as a framework for people exploring personal spirituality. 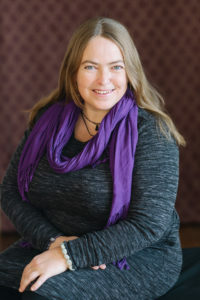 We have many no-cost Offerings (such as the PawedCats Podcast, blog articles, a newsletter, daily tweets, and more), as well as some Wares for sale (such as guided meditations, The 30-Day Core Belief Kit, and personal spirituality coaching). I hope you’ll come on over and check out our website! I’d love to hear from you! Please contact me via email (starcat AT starcatscorner DOT com), on Facebook or Twitter, or by leaving a comment on the blog.